I was playing Travelocity roulette: rolling the dice with a random stay, in a random town at a random hotel. Thanks to a hiccup in scheduling, I was left with three days to fill between a press event and Eurobike. It was a week before the biggest bike show in the world and I had to find a hotel. Upon entering my search criteria, very few dots populated the map of Friedrichshafen, Germany. I zoomed out…past Tettnag, past Ravensburg…and found a red dot in Kißlegg. One room left—click it, plop down CC number, print confirmation, keep fingers crossed. A week later, as I told the taxi driver where to drop me, I had convinced myself it was only 20 kilometers outside of Friedrichshafen, just a quick commute on the Ritchey Breakaway that is my constant travel companion. His befuddled look at the address I showed him was my first clue. Nearly 100 euros and 56 kilometers of narrow farm roads separate Friedrichshafen from Kißlegg, farm roads I would get to know intimately during my three-day stay. As I unloaded my luggage I had to admit, this small town of 8,000 people held promise. The little hotel, Gasthof Ochsen, was across the street from a bakery and a bike shop. I began to hope my roll of the dice would turn up sevens. The hotel itself was perfect, cheap and clean with a small restaurant and large patio. 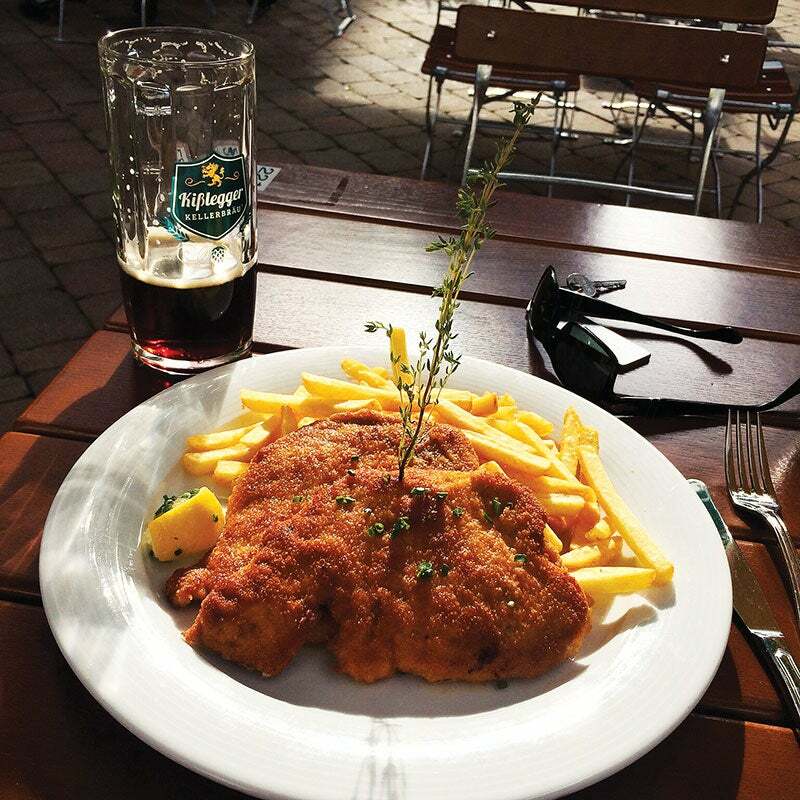 That evening, as I researched area rides, I discovered I could enjoy enormous schnitzels and delicious white beer on the patio, a pattern that would repeat itself all three nights. 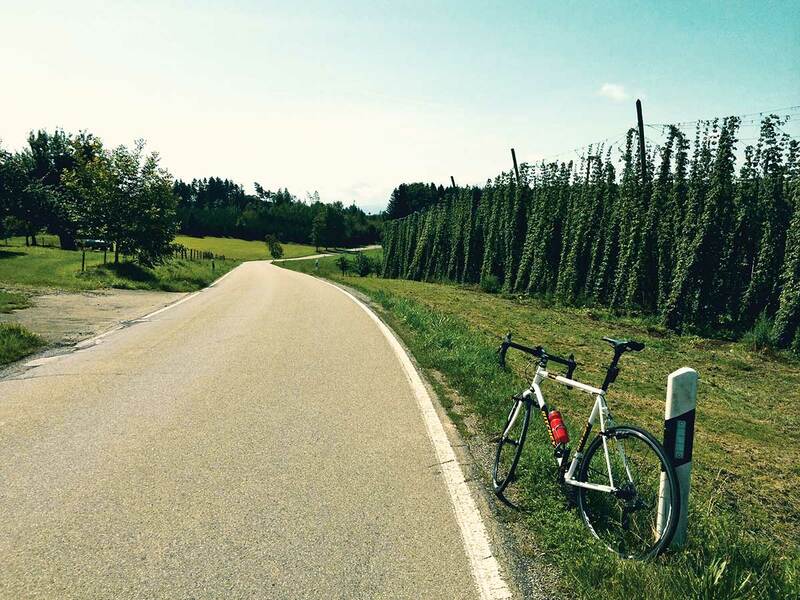 The first day on the bike, I’d discover what was truly special about Kißlegg. Over four hours and 60 miles, past fields of corn and hops, apples and cattle, I found roads that have no rival—rolling and narrow, the pavement perfection and cars nonexistent. This is Tuscany without the traffic. 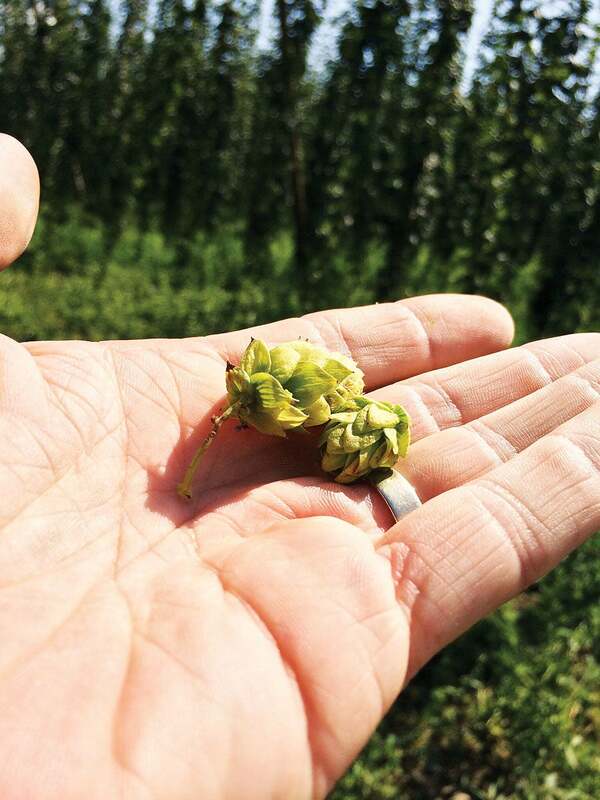 Each unknown kilometer would reveal something new—a small farm straight from Tolkien’s The Shire or the medieval tower in Karsee, overlooking fields of corn that gave way to hops and then apples as I rode south to Lake Constance. For three days I rode, for three days I ate schnitzel and drank Weissbier. It was on the third night, after a schnitzel the size of Rhode Island, that I asked the waitress how to pronounce the town’s name. I had been calling it “Kib-legg,” not sure what sound the ß made. She joked and said ever since the ’40s Germans have not liked to use ‘SS’ in words, so the ß makes the “ss” sound. 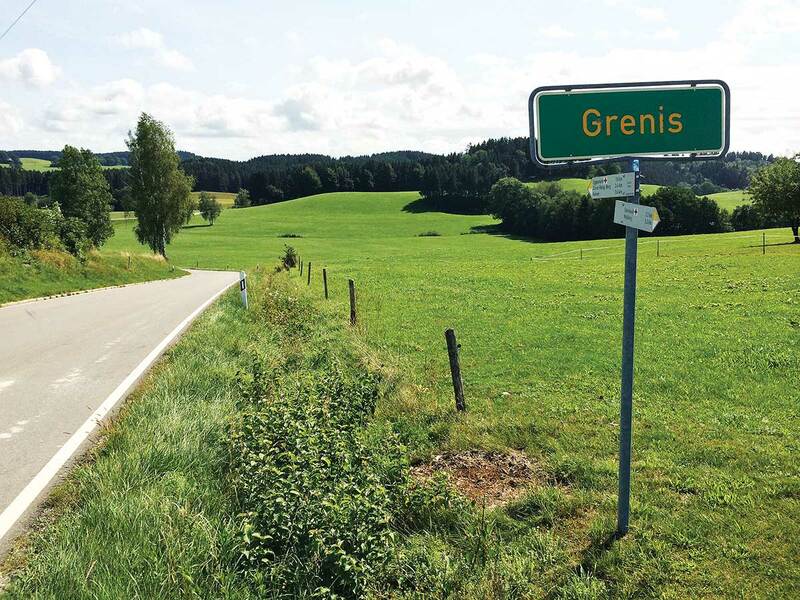 I laughed, knowing the ß predated World War II by a few centuries, but then it occurred to me: the town’s name is actually “Kiss-leg.” The hundreds of kilometers of glorious riding that surrounds it made a bit more sense. As I look back on those three glorious days, they’re like a dream recalled moments after waking, they feel so real, yet rationally I know they must be fantasy. I find myself going to Google maps every now and then just to check. I punch in Kißlegg and wait. There is always a moment when I worry Google won’t find it, that is was just a dream. But, no, it’s always there, little Kißlegg, waiting for me and my bike. We’ll be back.